UNPLANNED is the incredible, powerful true story of Abby, a young woman who gets drawn into working for Planned Parenthood because she thinks that the goal is to help prevent pregnancies. UNPLANNED is the incredible, powerful true story of Abby, a young woman who gets drawn into working for Planned Parenthood because she thinks that the goal is to help prevent pregnancies. UNPLANNED is extremely well made and powerful. 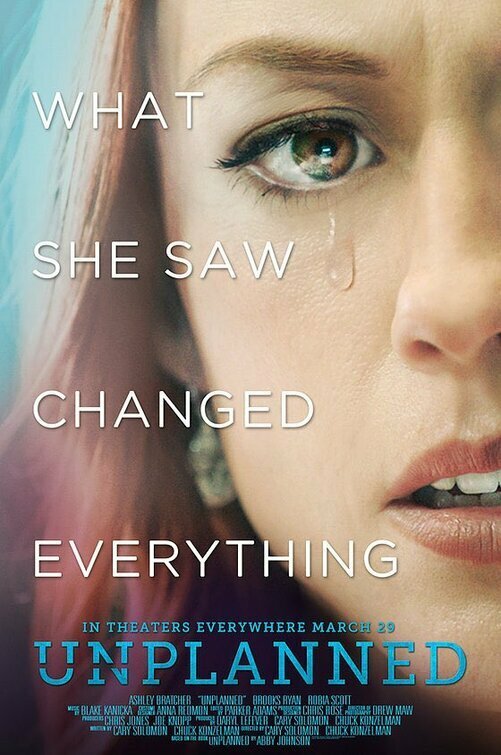 UNPLANNED is the incredible, powerful true story of Abby, a young woman who gets drawn into working for Planned Parenthood until one day she sees something that changes her mind. Though raised in a pro-life Christian home, Abby starts working for Planned Parenthood in college. Eventually, she rises in the organization to become the one of the youngest office directors of a local clinic. However, one day she’s asked to hold the ultrasound device during an abortion, and quits. So, Planned Parenthood sues Abby for leaving her job. Watch This Sweet Clip of Ron Howard Getting Advice from Andy Griffith!